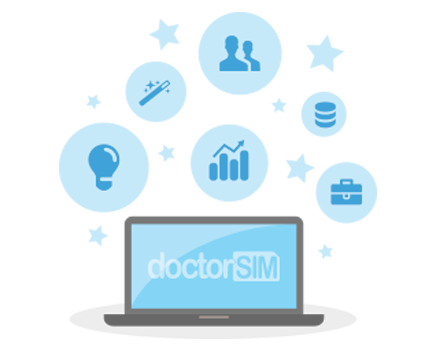 doctorSIM's phone checks allow you to obtain important information on your cell phone with just the device's IMEI number. This phone check immediately informs you if your phone has been blacklisted by the original operator due to loss, theft or unpaid bill(s). Our Premium Blacklist Check also informs you if your phone has been blacklisted but in addition, provides a comprehensive report on the current status of your cell phone including other information not available with the free check. Both phone checks are very useful whether you are looking to buy or sell a second-hand cell phone or to simply find out if a device is blacklisted. And all you need to know is the IMEI number to verify this information. Once we receive the unique IMEI, we'll send you the document in PDF which you can download as proof if you ever wish to sell the phone. Normally, reports do not extend to other countries and the device may work in another country, however, we cannot guarantee this will always be the case. When a cell phone has been blacklisted, you will not be able to use it to make or receive calls but you will be able to connect to the internet and send and receive text messages. NOTE: Information on the current status (reported or not reported) is updated daily by the GSM Association, of which almost all network carriers and MVNOs are members (see full list). However, some network providers take longer to report phones or remove them from a particular list and discrepancies may exist. The report does not include Spanish network providers as per the Organic Law on Protection of Personal Data. Many of you may not be aware that for many phone unlocking services it is necessary to indicate the network to which the phone is locked to successfully unlock it. At doctorSIM, you can check the original operator of your cell phone if it is one of the following makes: BlackBerry, HTC, Huawei, iPhone, Lenovo, LG, Motorola, Nokia, Samsung or Sony. If you are not sure if your iPhone is locked or unlocked, the best thing to do is check its status before requesting an unlock code. In this way, you’ll know whether you can already use your iPhone on any network or if you need doctorSIM to unlock it for you. All you need to do is insert your IMEI number, select your payment method and then wait a few minutes to find out the status of your iPhone. iCloud Activation Lock is an iPhone security measure which makes it harder for anyone to use or sell your iPhone, iPad, or iPod touch if it's ever lost or stolen. The passcode needs to be guarded safely by the owner of the iPhone as this is the only way to remove the iCloud Activation Lock. If you cannot remember the passcode, you will need to contact Apple for assistance. To know if your iPhone has this lock enabled, use the doctorSIM iCloud Activation Status Check. To successfully unlock many phones it is essential to know the exact model. For this reason, if this information is incorrect and the phone fails to unlock we will be unable to issue you a refund. You can use our search function to determine the make and model of your phone by simply typing the IMEI number. Dial *#06# on the phone's keypad to obtain the IMEI number.